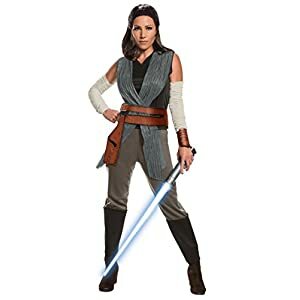 Find last jedi costumes to buy for Halloween through Funtober. 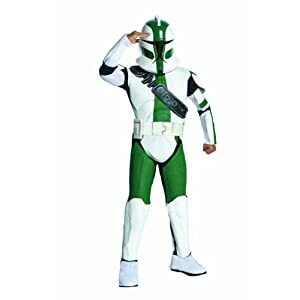 Low prices, fast shipping and great selection of star wars costumes. 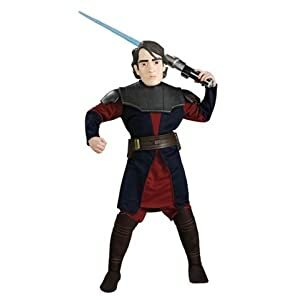 Start shopping for a last jedi costume for sale for this October today. 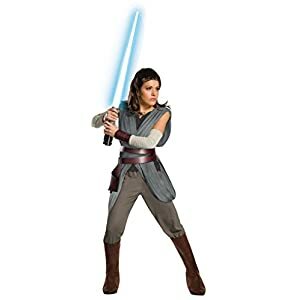 Cosplaysky Star Wars 8 The Last Jedi Luke Skywalker Costume Halloween Outfit Ver.2 X-Large for sale for Halloween. CosplaySky Star Wars 8 The Last Jedi Luke Skywalker CostumeHalloween Outfit Ver.2. Including: Belt, Cloak , Coat, Gloves, Leggings, Pants, Straps, Tunic, Vest. Please check the size chart in the product description carefully before you make order!. CosplaySky Star Wars 8 The Last Jedi Luke Skywalker CostumeHalloween Outfit Ver.1. Including: Belt, Cloak , Coat, Gloves, Pants, Sweaters (Without Shoes). Please check the size chart in the product description carefully before you make order!. 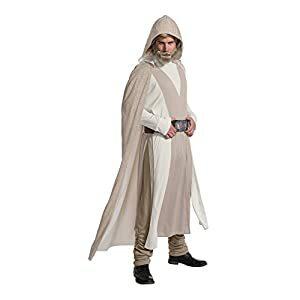 Deluxe Luke Skywalker hooded cape, robe with attached top, pants, and belt. 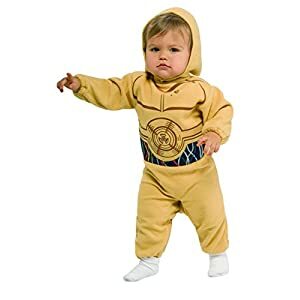 Important: costumes are sized differently than clothing, important to consult Rubie’s adult size chart and recent reviews to make best selection. Officially licensed Star Wars Episode VIII: The Last Jedi costume, only items shipped and sold by Amazon can be guaranteed to be authentic. 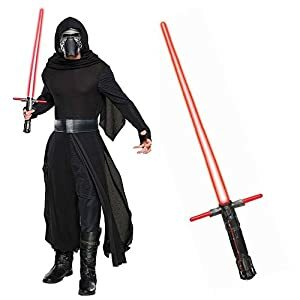 Star Wars Kylo Ren Costume for Kids – Star Wars: The Last Jedi for sale for Halloween. Genuine, Original, Authentic Disney Store. 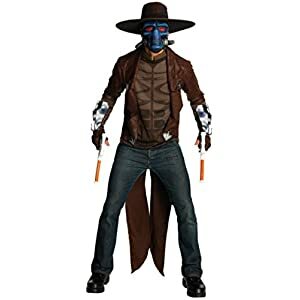 Includes ankle-length cloak, mask, attached belt, gloves and pants. Hard plastic detailed mask with see-through mesh eyes and elastic band with self-stick fabric closure to ensure a secure fit. Authentic and exclusive Disney Store product with reliable quality and durability. 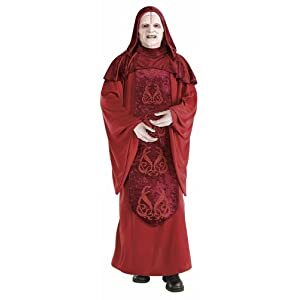 Includes ankle-length cloak, mask, removable belt, gloves and pants;Hard plastic detailed mask with see-through mesh eyes and elastic band with self-stick fabric closure to ensure a secure fit â€¢Lined removable textured cloak with self-stick fabric closures at the shoulders â€¢Front-ribbed tunic with stand collar and front self-stick fabric closures. â€¢Belt loops with removable faux leather belt features self-stick fabric closure with detailed plastic ”buckle” â€¢Long ribbed sleeves â€¢Removable gloves â€¢Coordinating elastic waist pants. 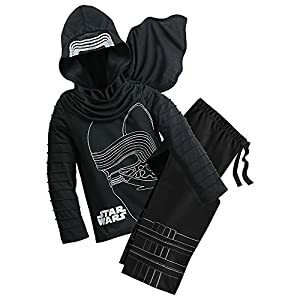 BirthdayExpress Star Wars Episode VIII: The Last Jedi – Kylo Ren Deluxe Child Costume and Lightsaber Bundle for sale for Halloween. 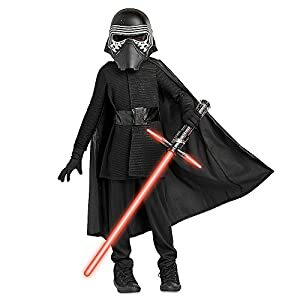 Your child can bring their favorite Star Wars Episode VIII character to life with this deluxe Kylo Ren costume kit for kids!. 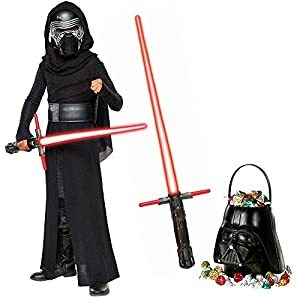 Includes (1) costume robe, (1) hooded cape, (1) belt, (1) costume mask, (1) Kylo Ren lightsaber and (1) Darth Vader candy pail. 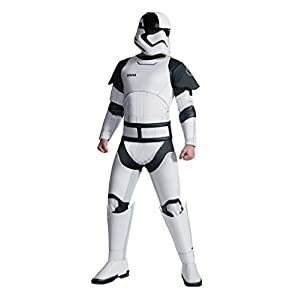 Browse for other Star Wars accessories like masks, toy weapons, shoes and boots, costume props, decorations and costume bundles to complete your look!. 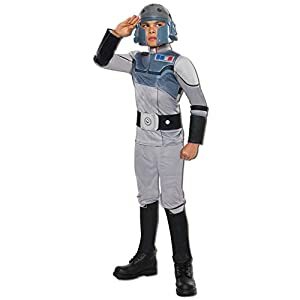 Deluxe Executioner Trooper costume foam padded jumpsuit with attached shoulder pads and boot covers, belt, and 2-piece mask. Important: costumes are sized differently than clothing, important to consult Rubie’s adult size chart and recent reviews to make best selection. Officially licensed Star Wars Episode VIII: The Last Jedi costume, only items shipped and sold by Amazon can be guaranteed to be authentic. 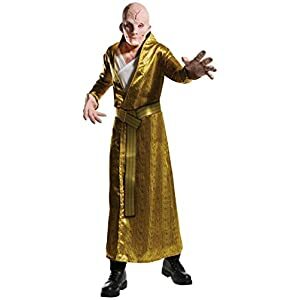 Deluxe Supreme Leader Snoke costume robe with attached undershirt, belt, and mask. Important: costumes are sized differently than clothing, important to consult Rubie’s adult size chart and recent reviews to make best selection. Officially licensed Star Wars Episode VIII: The Last Jedi costume, only items shipped and sold by Amazon can be guaranteed to be authentic. 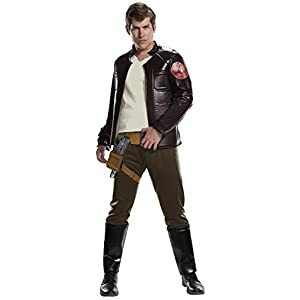 Deluxe Poe Dameron costume foam padded jacket with attached top, pants with attached boot tops, and belt. Important: costumes are sized differently than clothing, important to consult Rubie’s adult size chart and recent reviews to make best selection. Officially licensed Star Wars Episode VIII: The Last Jedi costume, only items shipped and sold by Amazon can be guaranteed to be authentic. 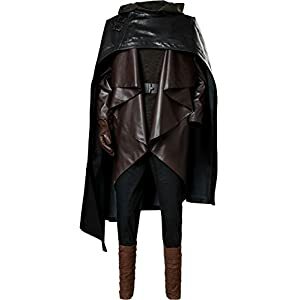 BirthdayExpress Star Wars Episode VIII: The Last Jedi – Kylo Ren Classic Adult Costume and Lightsaber Bundle for sale for Halloween. 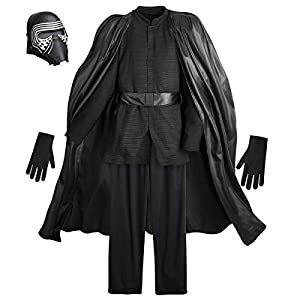 You can bring your favorite Star Wars Episode VIII character to life with this classic Kylo Ren costume kit for adults!. 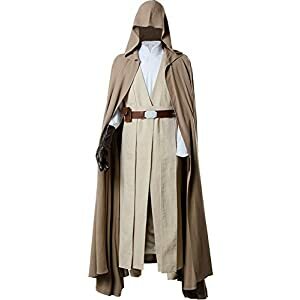 Includes (1) costume robe, (1) hooded cape, (1) costume belt, (1) costume mask, and (1) lightsaber prop. 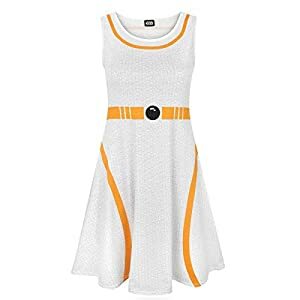 Browse for other Star Wars accessories like masks, toy weapons, shoes and boots, costume props, decorations and costume bundles to complete your look!. 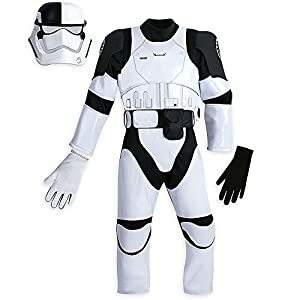 Star Wars First Order Judicial Stormtrooper Costume For Kids The Last Jedi for sale for Halloween. Genuine, Original, Authentic Disney Store. Includes bodysuit, helmet mask, detachable belt and removable gloves. Bodysuit with segmented vinyl covering and screen art. 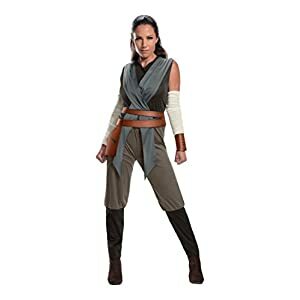 Super Deluxe Rey costume top with attached wraps, pants with attached boot covers, arm warmers, 3D Cuff (one), and 3D Belt. Important: costumes are sized differently than clothing, important to consult Rubie’s adult size chart and recent reviews to make best selection. Officially licensed Star Wars Episode VIII: The Last Jedi costume, only items shipped and sold by Amazon can be guaranteed to be authentic. 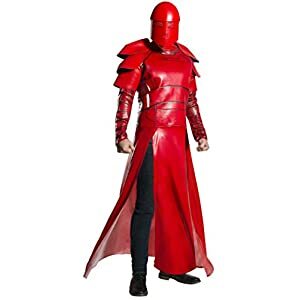 Deluxe Praetorian Guard costume robe with attached shoulder pieces, and half-mask. Important: costumes are sized differently than clothing, important to consult Rubie’s adult size chart and recent reviews to make best selection. Officially licensed Star Wars Episode VIII: The Last Jedi costume, only items shipped and sold by Amazon can be guaranteed to be authentic. Genuine, Original, Authentic Disney Store. Two-piece set includes hooded long-sleeve top and bottoms. Kylo Ren and Star Wars logo metallic screen art. 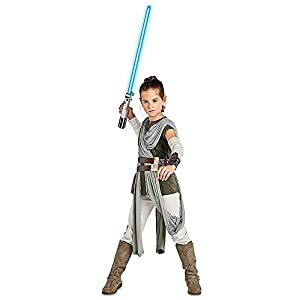 Deluxe Rey costume top with attached wraps, pants with attached boot tops, cuff, arm warmers, and belt. Important: costumes are sized differently than clothing, important to consult Rubie’s adult size chart and recent reviews to make best selection. Officially licensed Star Wars Episode VIII: The Last Jedi costume, only items shipped and sold by Amazon can be guaranteed to be authentic. Genuine, Original, Authentic Disney Store. Includes tunic, pants, attached belts, removable sleeves and wristband. Diamond-textured tunic features notched V at neckline, sleeveless crinkled gauze weave ”vest” overlay (can be left loose or connected with self-stick fabric closure). Star Wars Episode VIII Rey costume jumpsuit with attached wraps and boot tops, belt, cuff, and arm warmers. 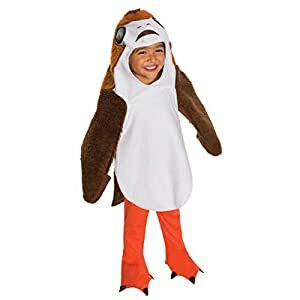 Important: costumes are sized differently than clothing, important to consult Rubie’s adult size chart and recent reviews to make best selection. Officially licensed Star Wars Episode VIII: The Last Jedi costume, only items shipped and sold by Amazon can be guaranteed to be authentic.